Following a recent expansion and upgrading, the popular Hotel Iglika occupies a central location and quick access to the ski lifts, 150 metres away. Also available are the Iglika’s wooden villas (offered on self catering basis), scenically set amidst trees behind the hotel where guests can use its facilities. Standard rooms have shower, satellite TV, telephone and minibar. Triple rooms and superior rooms have bath, the superiors also have hairdryers. Stayed here for Xmas, 2007. Lots of snow and a very nice resort - much better than we had expected! The Hotel Iglika Palace was perfectly located extremely close to the slopes, right behind the Rila hotel. 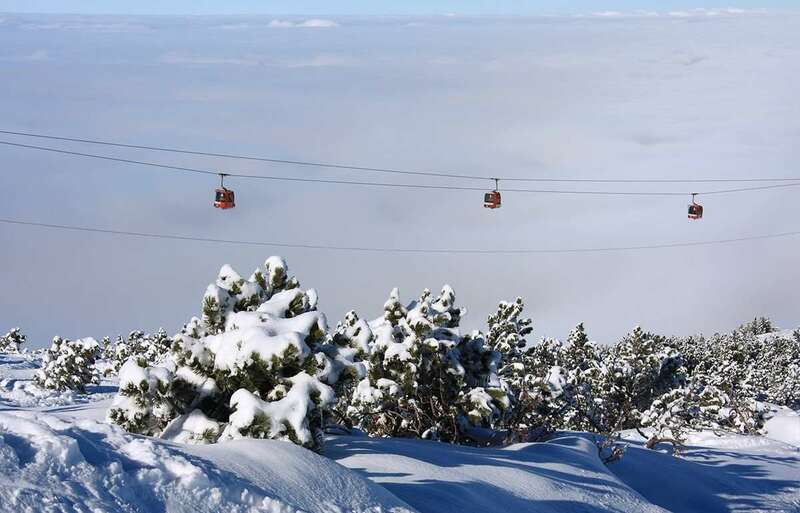 Some of the Borovets hotels are a real hike from the slopes which is no fun with boots and skis. The hotel itself was very good especially as we had one of the superior rooms, right at the front of the building on the top floor, with a balcony. The food was better than we had been told. Especially after a microwave appeared after a few days - as the food was not normally hot enough for us Brits! The Xmas gala dinner was a real feast and the food was always edible and hearty. There is a pool in basement which is a bonus. The staff were good and mostly spoke good English. There are restaurants and many bars even exotic ones if that is what you want - much more here than a few years ago, it seems. We would certainly be very happy to go back to the Iglika Palace- and hope to, in early 2009. Stayed towards the end of this years season and as such the hotel was not overcrowded . the room was all that was needed without frills or unnecessary bits. room was clean and regular room service. the catering was adequate, nothing surprising but after a good days skiing filled the gaps. the staff were friendly and efficient and there always seemed to be someone within sight ready to help. only drawback could be the bathroom in the room it was &quot; dinky&quot; to say the least and could get a bit wiffy. but it worked fine. overall I enjoyed the week and would stay there again.